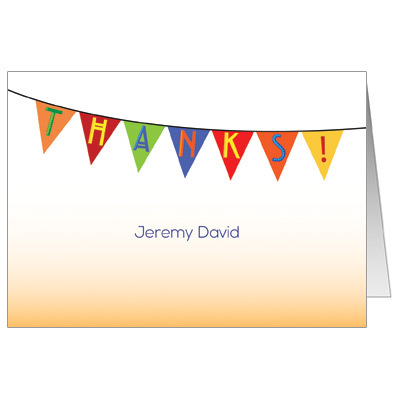 Say thanks with this colorful thank you card featuring a white and orange background and a fiesta flag banner that spells out 'thanks' at the top. Personalize it with your child's name printed in blue. Card measures 5 x 3.5.